Guests loved it! Added a nice interactive level to the unwrapping of presents. We will be using the cards at my daughter's wedding shower. The cards were inexpensive but, very classy looking! We organized the guests to mingle first, eat second and as they were finishing eating we handed out the bingo. 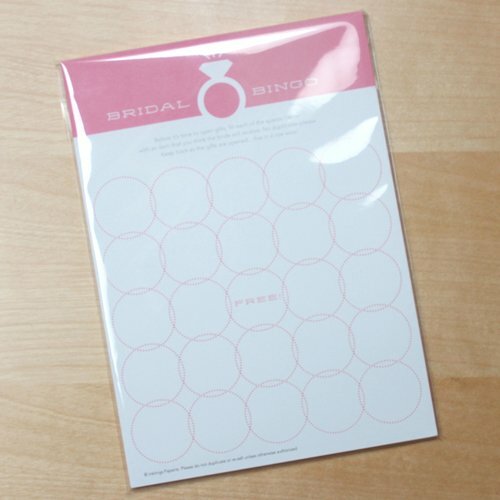 The guest wrote down the gifts they thought the bride would get. 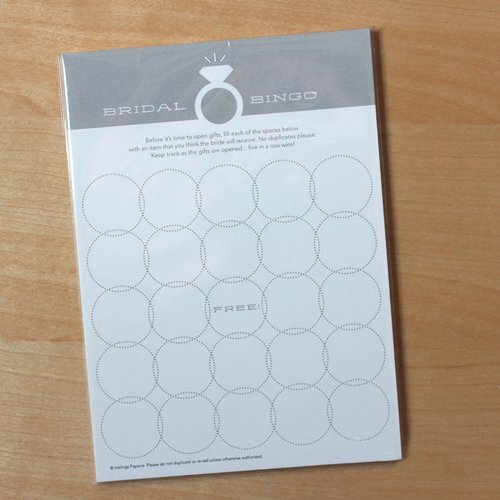 Next the bride opened her gifts and many people did "bingo" They all had prize choices. People said it was one of the best showers they had been to. 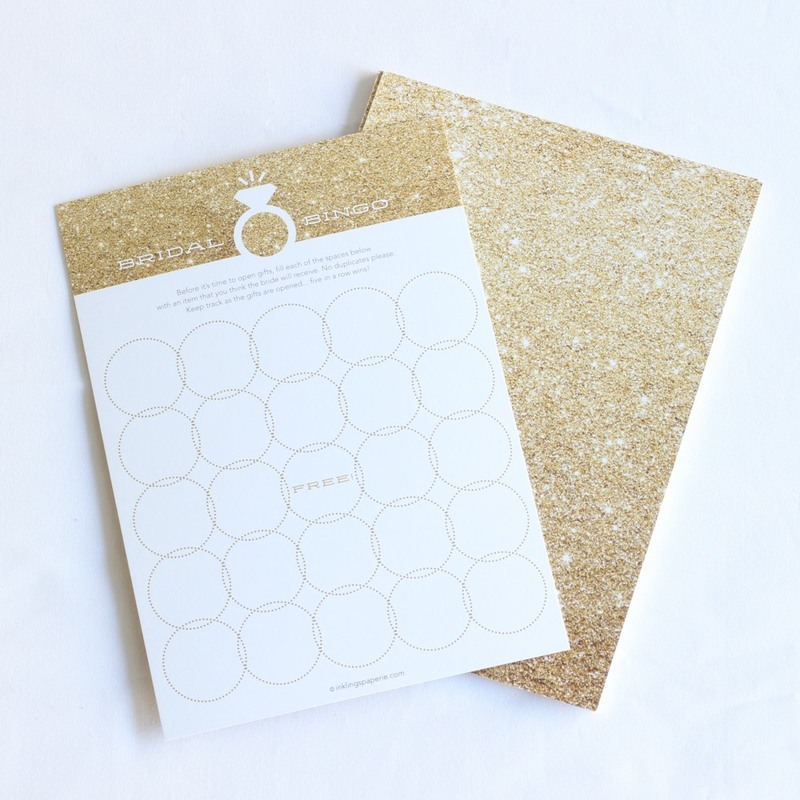 Matched the scratch off game perfectly and all the ladies were impressed which made for a great bridal shower! Q:approximately how many winners should you prepare for, prize wise? 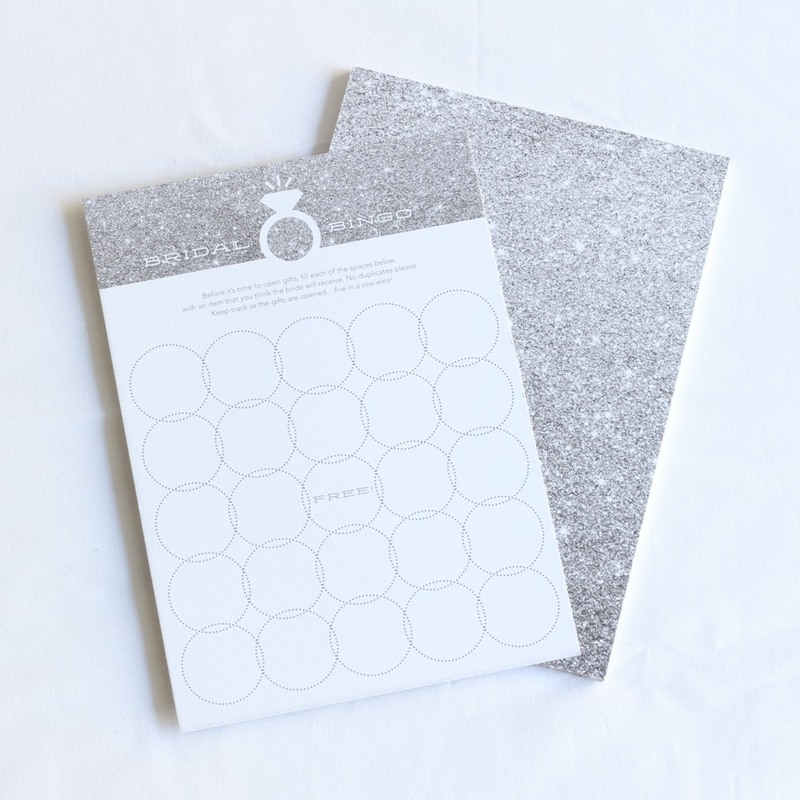 A:The number of winners depends on your party size and how accurately your guests guess the type of present you are receiving. However, we'd recommend being prepared with mini-prizes for multiple winners. 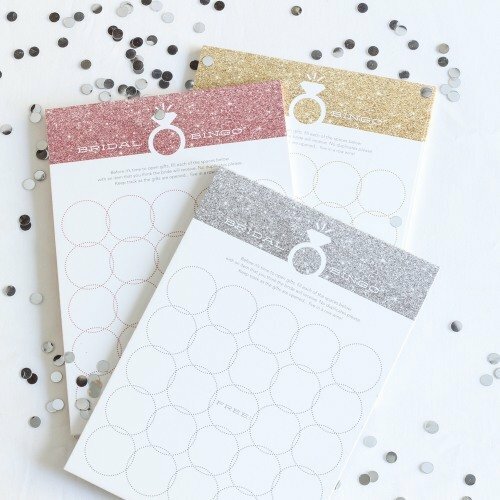 Invite your bridal shower guests to call it like they see it with this cute game of wedding ring bingo! 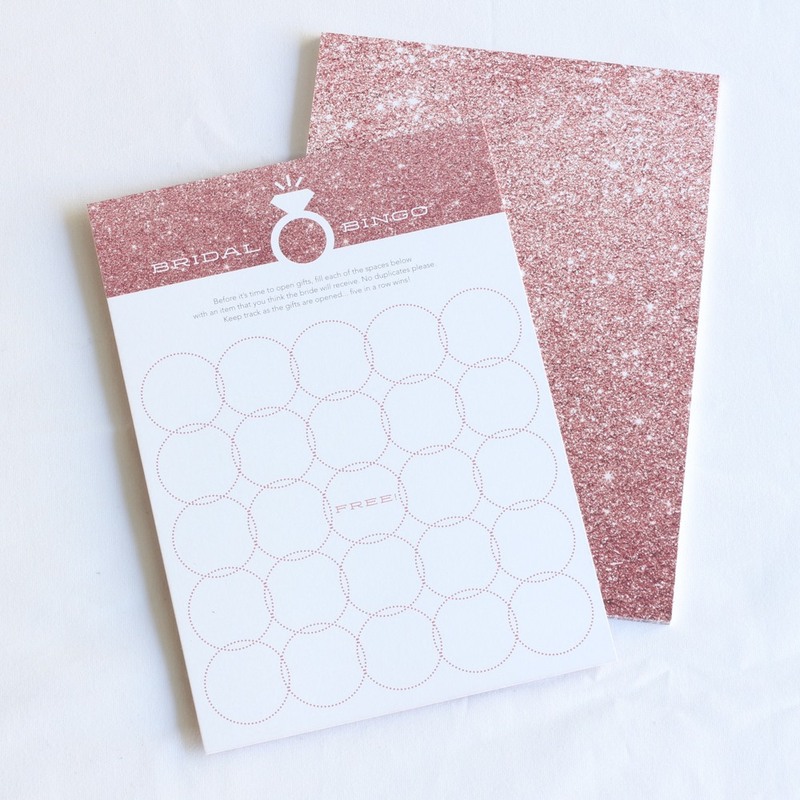 Available in a variety of rich colors, each set of 12 bingo cards is printed with the traditional bingo layout of 24 blanks and one free space. Each space is in the shape of a ring. 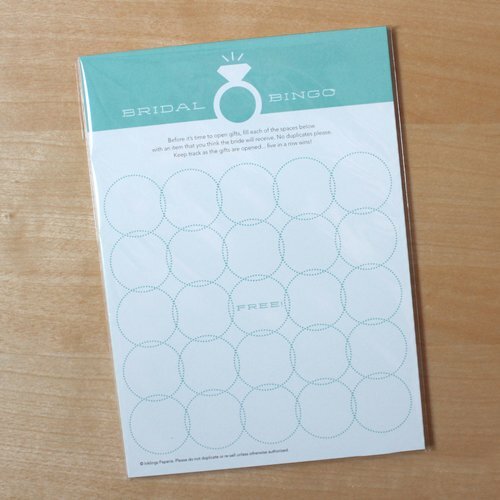 Guest should fill each blank ring with what they think the bride will receive, and the first to call "BINGO!" wins!